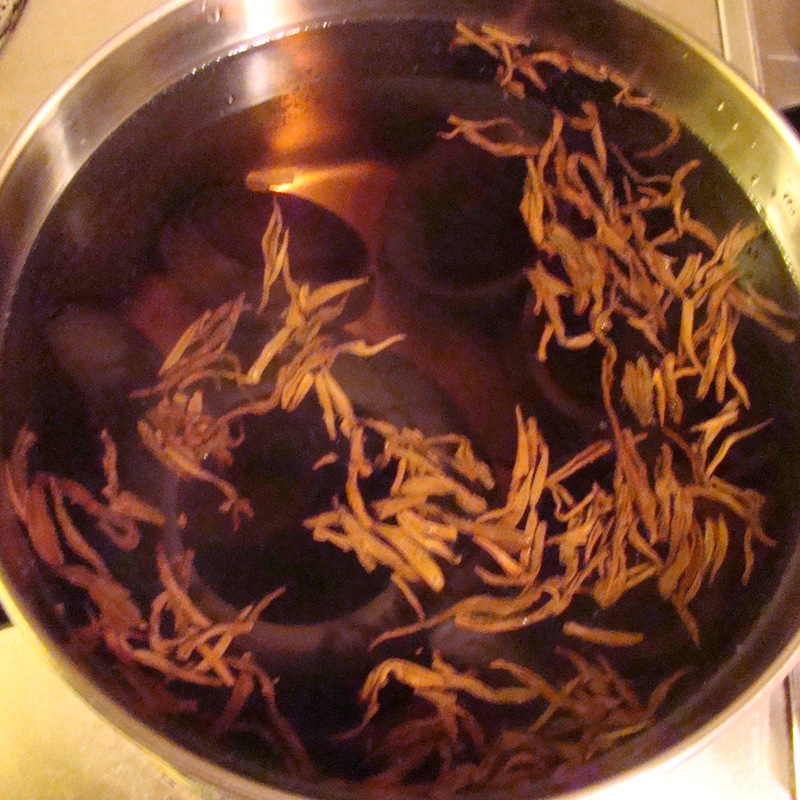 Step 6:Gently immerse the teapot and lid into the boilng tea and allow them to boil for thirty minutes. 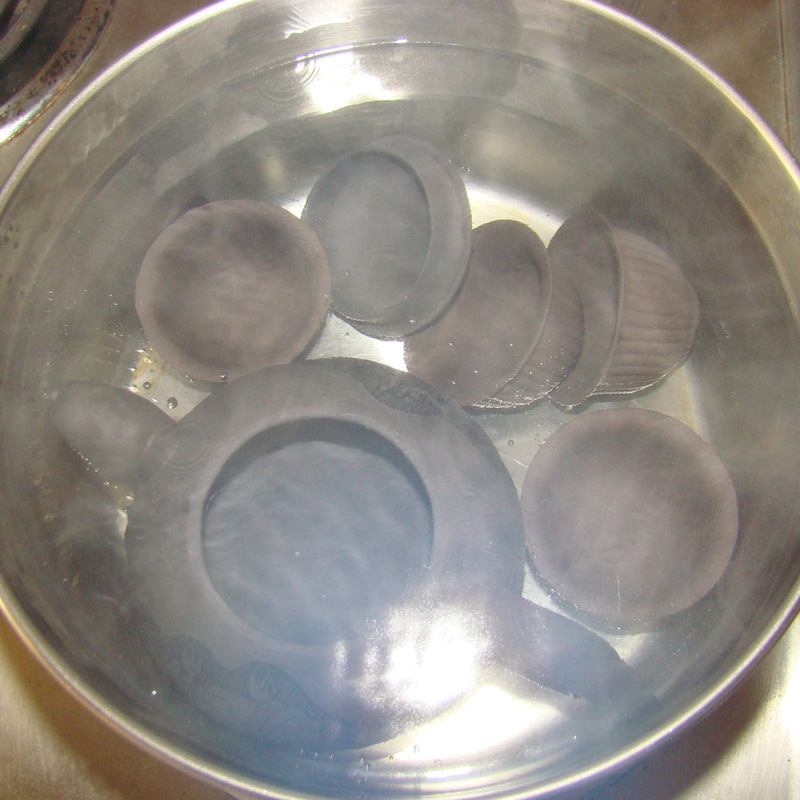 NOTE: Although cups were also included in the seasoning used for this example, you do need to be careful with putting too many items or items that are too delicate together during the boiling procedures. 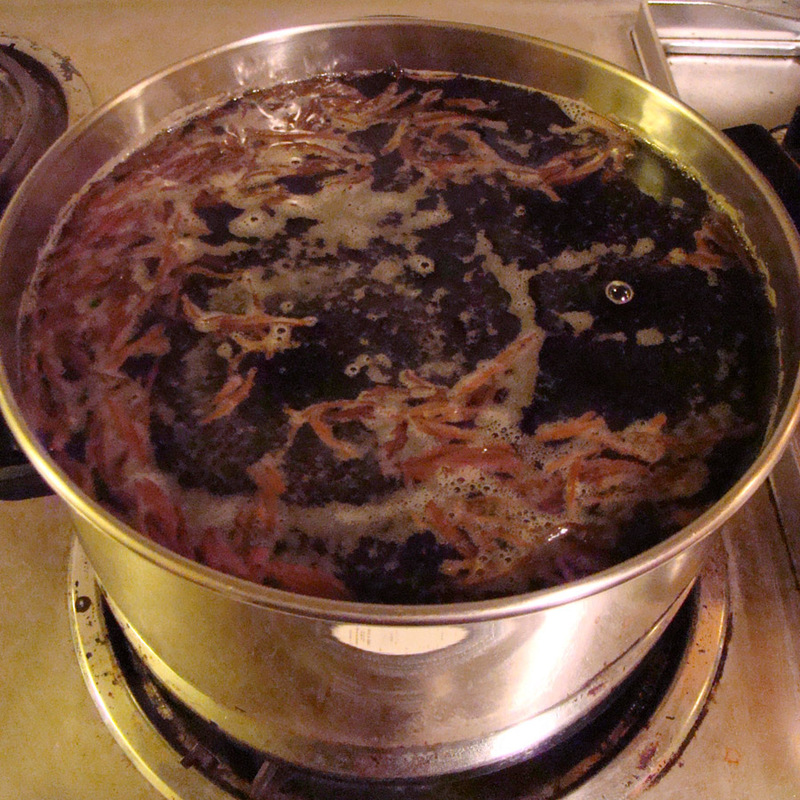 At such a low boil there is little to no crashing around within the pot, but do not take risks of breakage with anything tremendously valuable to you. 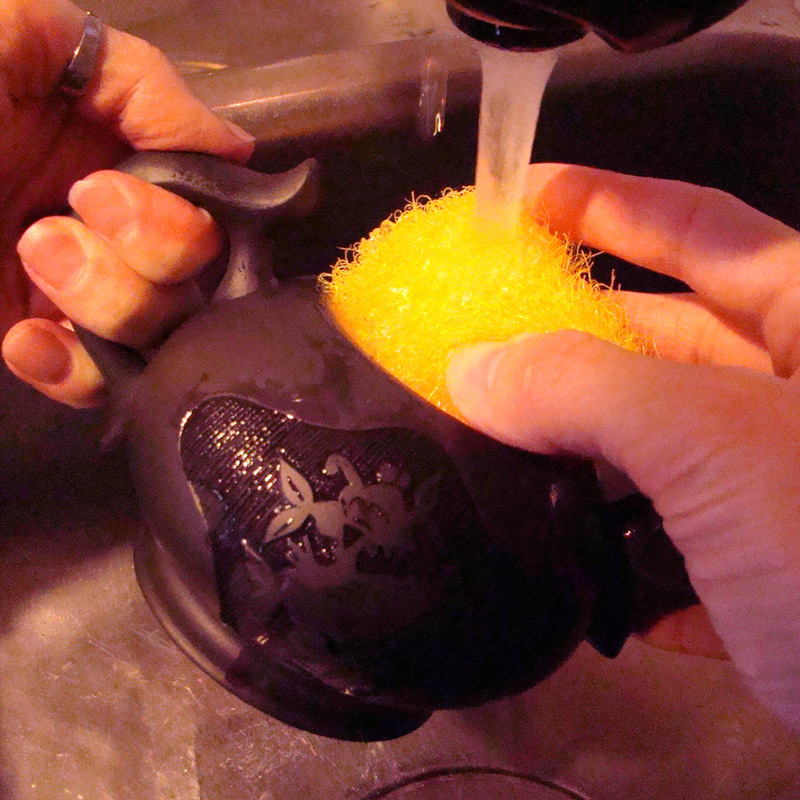 Step 8:Carefully pour out the tea liquid from the pot. 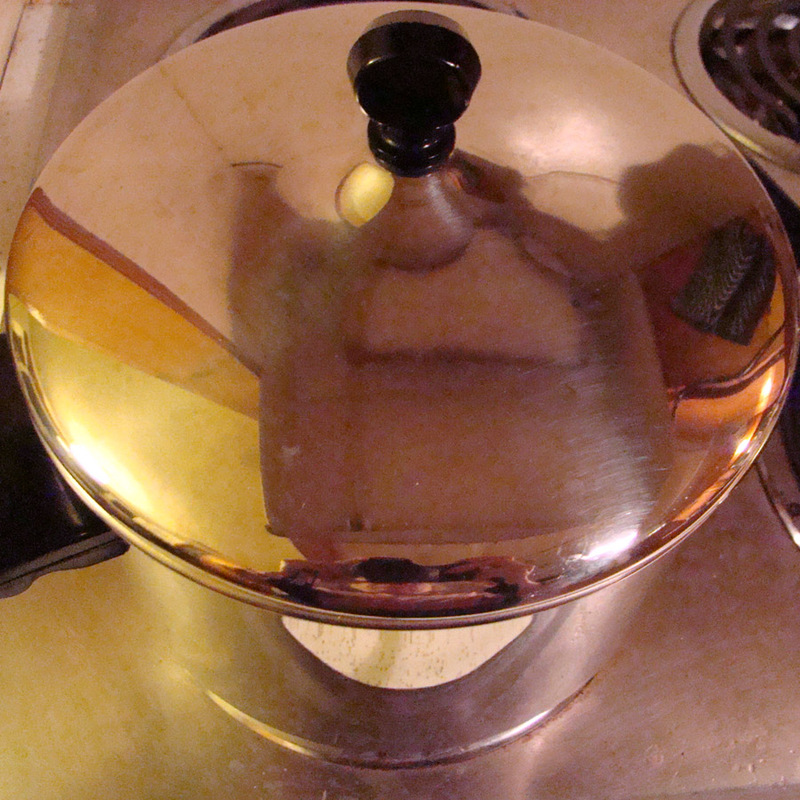 Pay particular attention to not allowing the teapot and lid to hit each other and chip or tumble out of the pot. 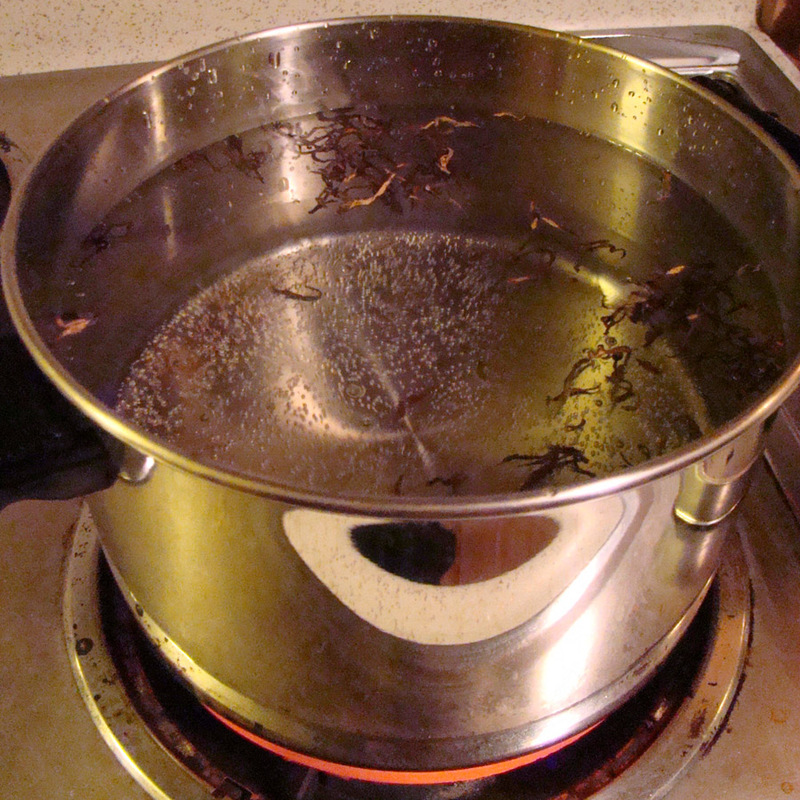 Step 9:Rinse the teapot thoroughly with clear, cool running water, again not using any sort of cleaning solutions or soap products. 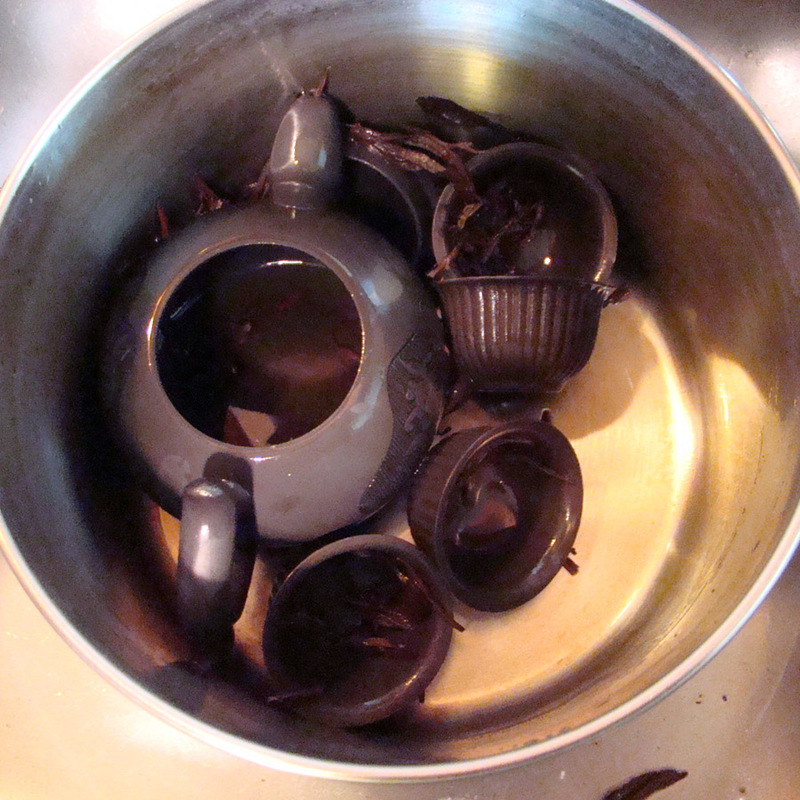 Step 10:Allow the teapot to dry completely. 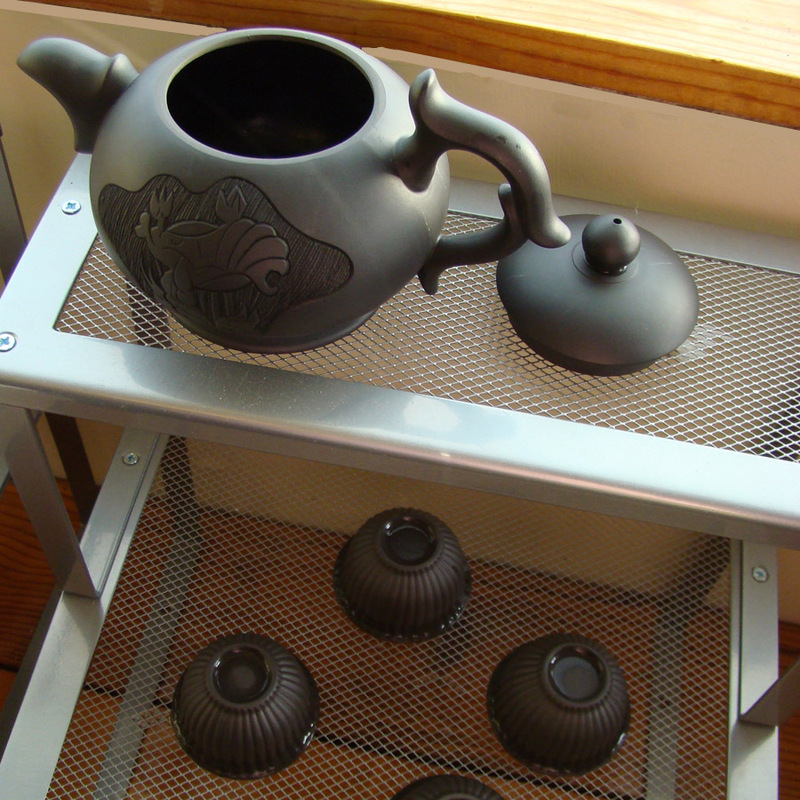 It is now ready for use as a fully functioning yixing teapot. 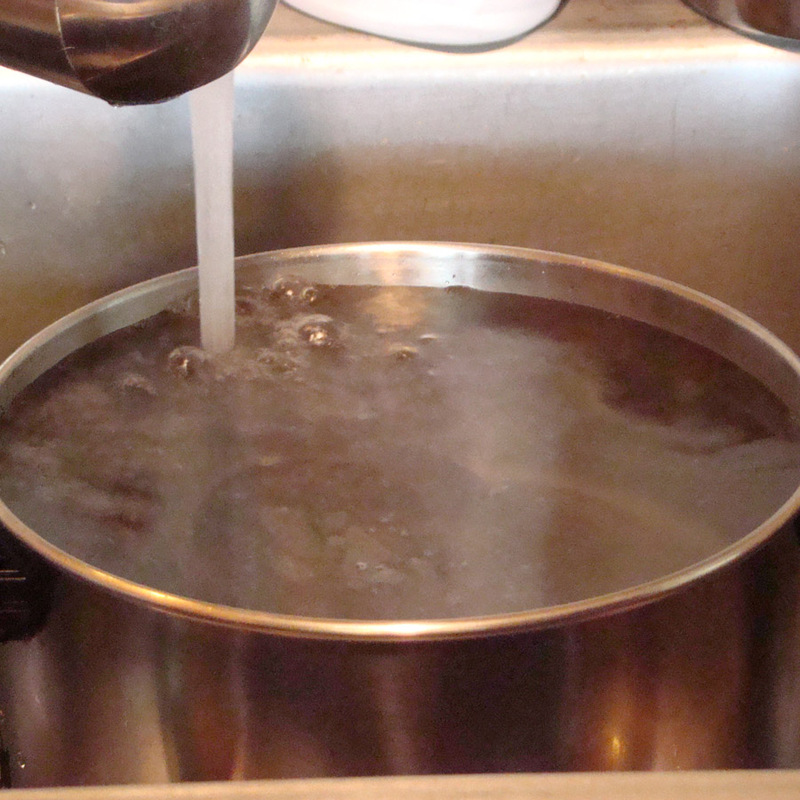 Be careful not to allow it to contact oils or any caustic materials. 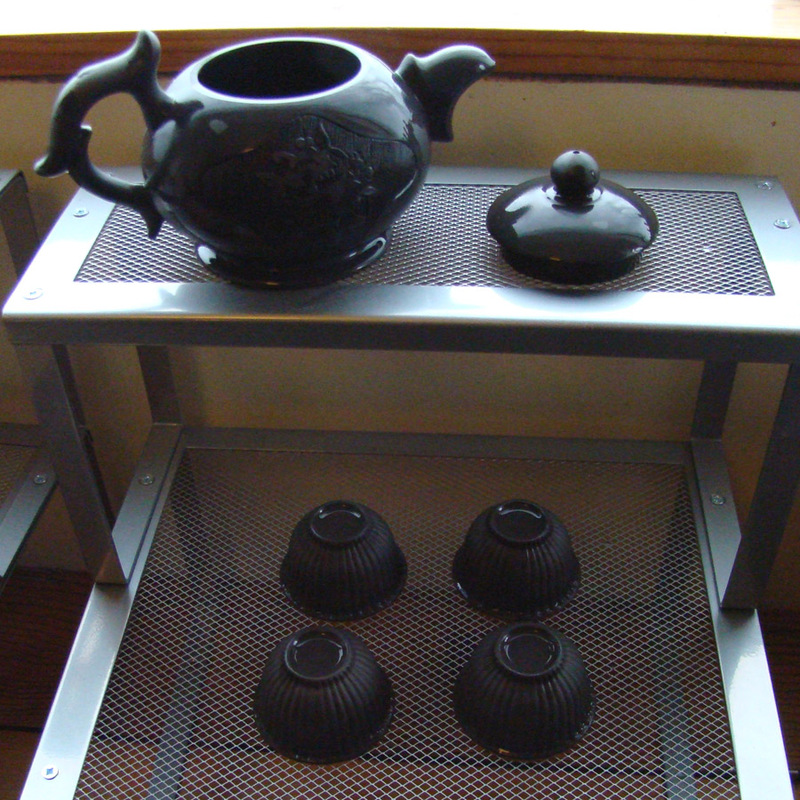 As the teapot ages through use it will produce better and better cups of tea and will acquire the rich sheen of matured seasoned zisha clay.